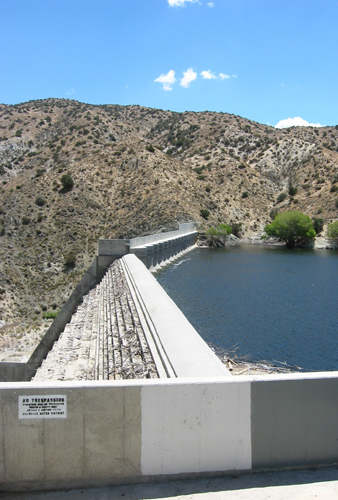 Aspen is under contract to prepare a joint EIS/EIR evaluating the impacts of sediment removal alternatives for the Littlerock Reservoir and Dam on National Forest System lands in Los Angeles County. The Palmdale Water District (PWD) proposes to remove approximately 540,000 cubic yards of sediment from the reservoir behind the dam and haul it to off-site commercial gravel pits located 6 miles north of the dam site in the community of Littlerock. The project involves impacts to the arroyo toad, extensive coordination with USFWS for a Section 7 consultation, a Forest Service Plan amendment, preparation of the Forest Service required BE/BA, and analysis of compliance with federal air quality conformity requirements. Aspen kicked off the CEQA an NEPA environmental review process with scoping in June 2005, and provided an Administrative Draft EIR/EIS to PWD in April 2007. Aspen is currently working on finalizing the Grade Control Design, adding an additional slurry pipeline alternative, and continuing work on the preparation of the Draft EIR/EIS. At the request of the Forest Service, Aspen prepared detailed work plans for Biological Resources and Public and Agency Involvement. Currently, Aspen is working with PWD and the Forest Service in formulating and finalizing the Project Agreement/MOU and Financial Plan, submitting an application to the Forest Service for a Special Use Authorization, and the Project Timeline. A list of required and potential project permits and plans has been prepared and submitted to PWD. The biological resources team is working with Forest biologists to determine the level of analysis, surveys, and resources that need to be addressed. Once the Project Agreement/MOU between PWD and the Forest Service has been executed, Aspen will re-scope the EIR/EIS (at the request of the Forest Service) by preparing and issuing the NOP and NOI, and conducting scoping and stakeholder meetings. At the same time, the Aspen design team will work with PWD to finalize the Grade Control Design and sediment removal activities. The environmental team will then begin the analysis for the new EIR/EIS.